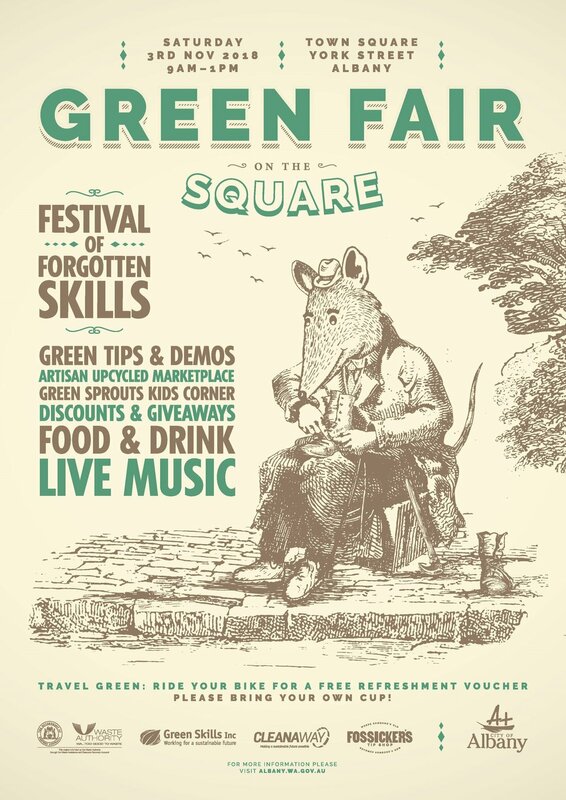 Green Fair on the Square will paint the Town Square green on Saturday November between 9am and 1pm. In its third year the popular event will include a Festival of Forgotten Skills as well as live entertainment, green tips and upcycled treasures. Patrons can learn handy but forgotten skills such as woodcarving, basic mending and composting in between checking out the Artisan Upcycled Marketplace and Fossicker’s Tip Shop marquee. The kids will love the vibrant Eco Faeries stage show as well as Happy Feet Fitness, Jamie the Clown, Green Storytime and hands-on activities in the Green Sprouts Kids Corner. For more information or to enquire about becoming a stallholder please email fossickers@albany.wa.gov.au or phone 6820 3918. This iconic event showcases the best of our artists, venues and landscapes. The Art Trail is an initiative of ArtsouthWA Inc., an organisation formed to promote and market the fi ne art and craft created by artists living and working in the Great Southern region of Western Australia. ArtsouthWA conducts projects including this Trail, workshops, exhibitions and the management and maintenance of an online database of its member artists, galleries and community groups www.artsouthwa.com.au. The Southern Art & Craft Trail is in its 16th year. We would love to take this opportunity to welcome you. This year we’ve gone big. We’ve extended our reach in inviting surrounding towns of the Great Southern to be involved and to showcase the various artistic talents in their areas. We welcome the new towns of Lake Grace and Northcliffe to the Trail and encourage all visitors to the Trail to support our new venues and exhibitions. We’ve also gone big with a bigger booklet. This has enabled the number of venues to increase and has encouraged several new businesses coming on board to support the Trail. The Trail is a fantastic opportunity to treat yourself to a weekend or even a week of Art. Enjoy exploring the many Trails throughout the region, including studios, galleries, cafes, wineries and other venues hosting the varied exhibitions that make up this Trail. The exhibitions you will see range from experienced, professional artists to those who work part-time or as a hobby, but all want to share their creativity with you. The warmth and personal atmosphere of the artist studio is the perfect place to fi nd unique art, purchase one-of-a-kind pieces, and chat with the artist. We are once again on Instagram. When you are out and about please take photos on your journey and post them on Instagram with the hashtag #arttrailwa2017 to be in the running for a prize! 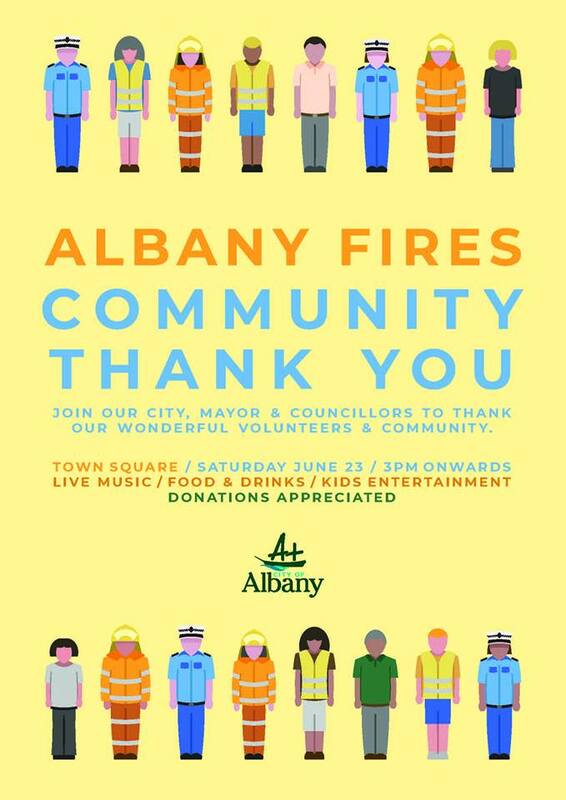 Come down to Town Square on Saturday, 23 June to watch the parade of fire trucks along York Street and celebrate our community and volunteers who assisted during the Albany Fires. Food, live entertainment and music from 3pm! It’s one of the greatest survival stories of all time and now, over 100 years later, a new travelling panel display invites visitors to walk in the footsteps of famous Antarctic explorer Sir Ernest Shackleton and discover his epic voyage of survival. On tour from the Australian National Maritime Museum, Shackleton: Escape from Antarctica is on display at Albany’s Historic Whaling Station from 22nd June to 12th August, and is included within the entry ticket. The Vancouver Street Festival is the most well-loved arts and heritage festival of the Great Southern region of WA. Coordinated by the Vancouver Arts Centre, the festival features a maker’s market, vintage bikes, local produce, music and street performance! 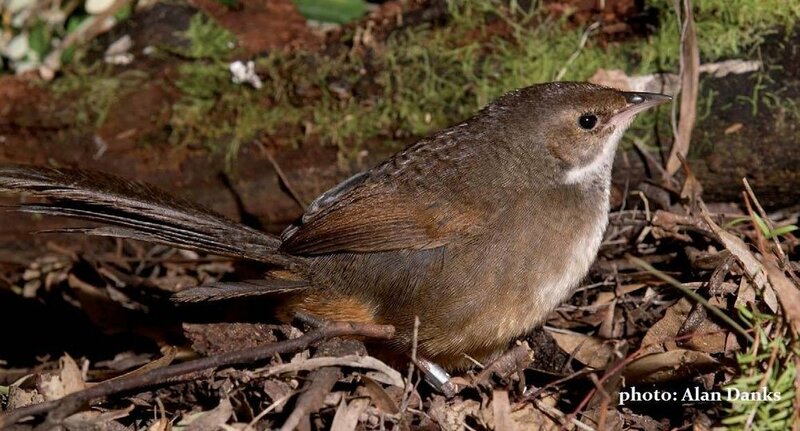 This year, the Vancouver Street Festival will feature local Noongar dance and music performances, a walking tour through Albany’s historic trees led by Malcolm Trail from the Museum of the Great Southern and the Amazing South Coast Big Band. The Vancouver Street Festival 2018 promises to be an unmissable celebration of community, culture, art and history! A true celebration of the artistic and cultural heritage of the Great Southern. The Vancouver Street Festival 2018 takes place on Noongar land. The Vancouver Arts Centre acknowledges the Mineng people of the Noongar nation as the traditional custodians, and their continuing connection to land, waters and community. We pay our respects to them and their culture; and to elders both past, present and emerging. 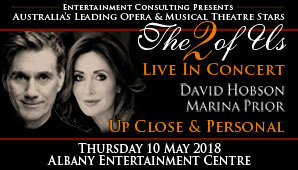 Australia's leading stars of Opera and Musical Theatre, David Hobson and Marina Prior join together in their own show 'The 2 Of Us' in an 'up close and personal' mode. Accompanied by renowned pianist David Cameron, in a two-hour intimate performance, Marina and David will perform their classics from productions such as The Phantom Of The Opera, Les Miserables, West Side Story, Guys and Dolls, Chitty Chitty Bang Bang, La Boheme, Carousel, plus songs from their award-winning albums and some Carols favourites. Respectively they have sung for the Queen, featured at AFL Grand Finals, Carols by Candlelight, Dancing With the Stars, It Takes Two, ABC TV series 'Divorce', Spicks and Specks and in 2006 Marina was honoured with an induction into Australia's 100 Entertainers of the Century. Hear the classics with a hint of their personal humour and chemistry! Head to the Anzac Albany website to book your Convoy Campout space. 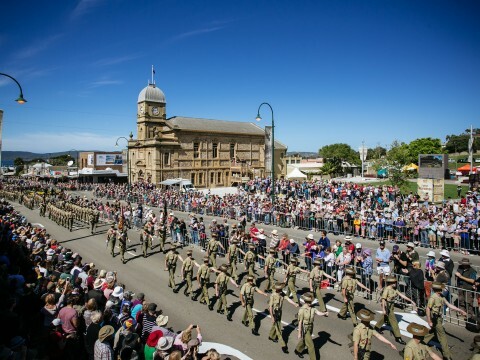 Following on from the Anzac Albany Festival, grab your swag or tent and join us for the exclusive Convoy Campout within the ground surrounding the National Anzac Centre for a unique Dawn Service experience. Once the Anzac Albany Festival closes to the public the exclusive Convoy Campout will commence and continue into the night leading into the Dawn Service on Wednesday, April 25 2018. 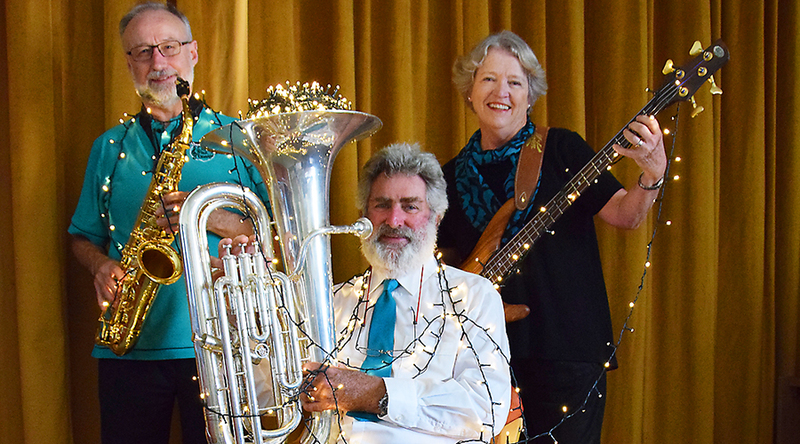 A FAIRYLAND of lights will be the backdrop for Albany City Wind Ensemble’s next big performance, and director Sue Findlay promises it will be a night to remember. The Under the Stars concert is set for 6.30pm on April 8, at Albany Senior High School’s amphitheatre. The 45-piece band will be joined by local vocal group About FACE to perform the likes of Lord of the Dance, Light Calvalry Overture, Dance of the Hours and Auld Lang Syne underneath the twinkle of fairy lights Ms Findlay said will be scattered everywhere in the amphitheatre. About FACE will spice things up with a jaunty sea shanty and high-speed traditional Gaelic mouth music. The outdoor venue will provide the stage for an intimate concert, with numbers limited to a 300-person audience. Despite taking a risk with the open-air location, Ms Findlay is adamant the weather will be perfect. 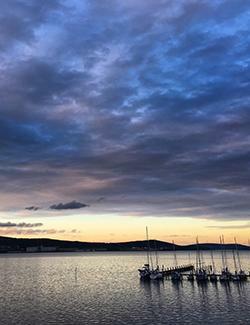 “Autumn has always been my favourite time of year in Albany,” she said. “The wind drops and the weather can be truly delightful. However, if the skies do open up, the show will be relocated to the Albany Town Hall. 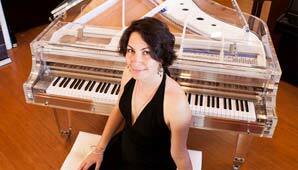 Tickets will cost $28 per person and $15 for children under 17, and can be purchased at Frangipani Floral Studio, on the door or online at albanycitywindensemble.com.au. Modeled on the Championship in Cooma, NSW, The Albany Regional Final of the Australian National Busking Championships is set for Saturday, 7 April 2018. It will also be an opportunity for musicians all over the country and for local performers to show Albany musicians to showcase their talents and for musicians from all over the country to be part of a WA first. Organiser Ian Rayson says the Rotary initiative brings together a huge range of artists and genres, rotating at half-hour intervals before the evening's finals. "In one day in Cooma… there were 70 busking groups of 170-180 musicians and they played around 30 venues in the town," he said. He says he hopes the event will be as popular as Blues at Bridgetown. 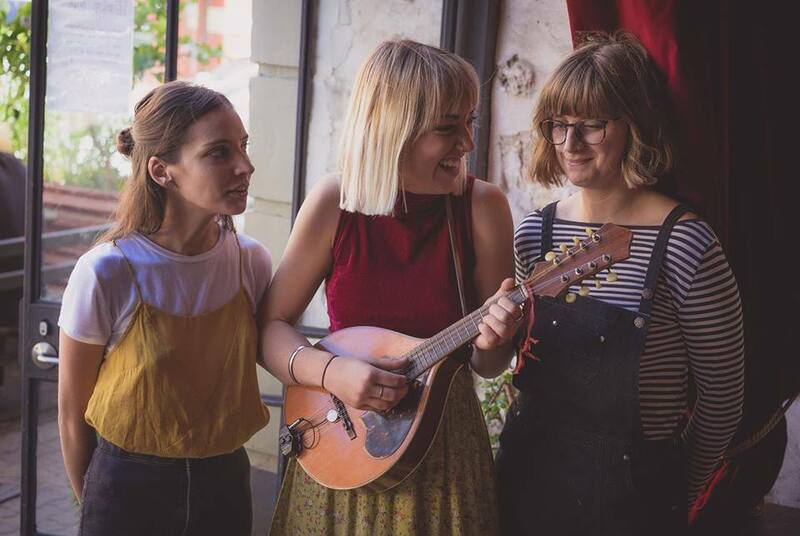 "Hopefully as big if not bigger… Busking is all sorts of genres and acts and things like that so hopefully it’s got a much more eclectic crowd and attracts more people, and attracts people from within the region as well as outside." 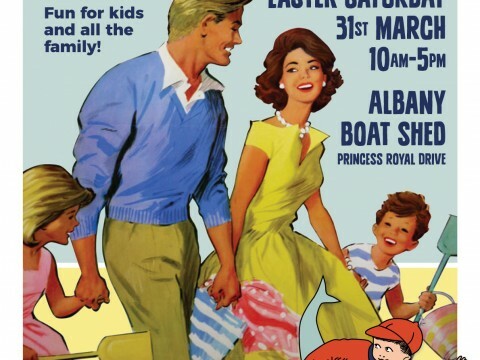 The Albany Festival of the Sea is an annual event held on Easter Saturday that celebrates the contribution of the seafood sector to Albany and other West Australian south coast communities. This year will feature celebrity chef Don Hancey with Fruits of the Sea. There will also be regional wines and ales, food, fish, a boat building competition with cash prizes, live music and much more. It's fun for the whole family. Join Michael and Jan Alvares of Kite Kinetics and Green Skills for kite making and kite flying fun. Bring along your family and watch the skies for the giant kites. Kite making kits are available for $6. Gourmet burgers, local marron, funky ciders, gooey toffee and of course a bit on the side. Live music. Arrive early at 4.30pm for optional game of soccer golf. As an Internationally acclaimed recitalist, soloist, and chamber musician, Irina Vasilieva has performed and participated in various festivals, international master classes and chamber music projects. Together with Albany's first & only semi-professional chamber orchestra this promise to be a moving night of chamber music brilliance. Good Food, Good Living, Great Ideas. Join us for a celebration and exploration of Sustainable Living in the Great Southern from 9am to 2pm on March 24th. Learn about what's happening in sustainable transport, energy, food, communities and day-to-day living. Colourful and creative stalls, information, exhibits, entertainment, speakers, workshops and educational activities, food and music by locals, for locals. Immerse yourself into the essence of Denmark's fabulous local food, wine and music scene. 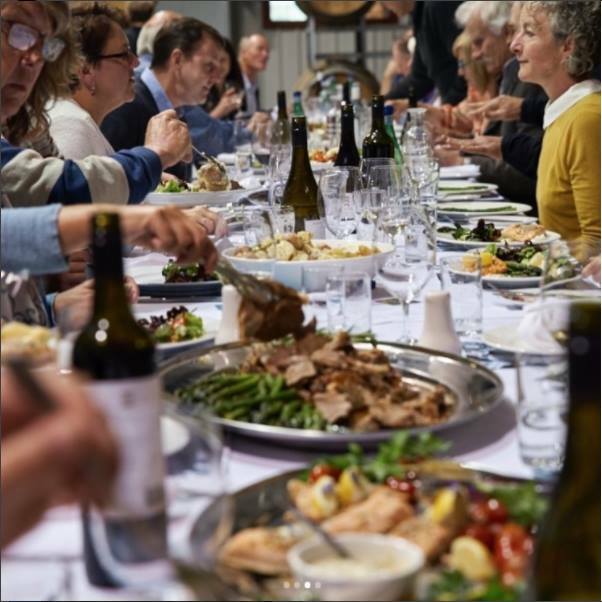 Denmark's Local Heroes Feast will showcase some of Denmark's finest foodies, wineries, breweries and cideries, alongside local food producers as they come together to create a night of merriment and celebration. Come join us...and be sure to wear your dancing shoes! Be taken on a short journey on the Amazing South Coast and discover some fantastic regional produce prepared Asian fusion style by our guest, Indonesia’s Chef Chandra Yudasswara. The Secret Affair is one of the must attend dinners where you will enjoy local produce made with Asian flavours and matched with the wines of the Great Southern in an outdoor venue you will only find out about on the night! Chef Chandra is one of Jakarta’s top chefs, who heads the kitchens of Bacco, Portable, Domicile Surabaya, Play and Metro Coffee. He also appears on the popular NET, hosting his own cooking show! Joined by Western Australia’s Chef Vincent Lim, they will present their interpretation of the foods of the region in a feast to remember. The dinner will include welcoming sparkling wine and canapes, with a sit-down banquet matched with fine wine and good company. Tickets will include return coach travel from central Albany. Founded in 1990 by its current director Elik Melikov, La classique is renowned for its artistic ballet mastery, lavish costumes and magnificent stage sets. The Nutcracker will take us on a journey back in time to the frost-covered, gas lit world of Clara, her beloved nutcracker doll and the magician Drosselmeyer. With this delightful production of the much loved Nutcracker, La classique captures the imagination, the passion, the humour and magic of the ballet. Join us for a five-course long table degustation with five varietals from Singlefile Wines and regionally focused food to match from Chef Sally Francis of Runes. We will take you on a journey to experience food and wine heroes of the Great Southern. Delight your taste buds in good company and take in the glorious view over Albany's Shoal Bay. to get up and view the cooking and plating throughout the night, which is done in front of the dining table. This special dinner not to be missed, and we look forward to having you as part of our ever-expanding Fervor family. The dinner will include matched drinks, snacks, 5 courses, and petit fours. We recommend bringing warm clothing and comfortable footwear. Sip and savour the flavours of the Great Southern with Cameron Syme, our Master Distiller at Limeburners and Chef Stuart Laws at the Long Table Whisky Dinner at the Great Southern Distilling's cellar door. Cameron and Stuart have worked to create some incredible dishes featuring local produce from the Great Southern region and have paired these dishes with selected Limeburners whiskies, carefully selected by Cameron especially for this event. 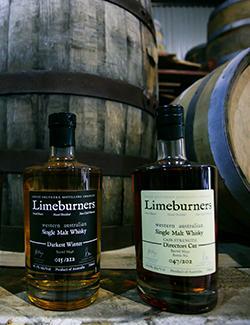 Enjoy amazing food and amazing whiskies from WA's most awarded distillery. Only 30 seats available, book now so you aren't disappointed! Join us for an informal afternoon roaming around the ‘Great Southern’ at Singlefile Wines cellar door to experience five wine varietals with canapes to match from Sally Francis of Runes. We invite you to follow our winemaker’s route or create your own journey as you visit each wine and food station at your leisure. Want dessert first? Go for it! Select one of three start times and allow yourself 2 hours to complete the journey., When you have reached your final destination, you will have met wine and produce heroes from each sub region.